There are many countless individuals who have had a traumatic health crisis leading to what some call a "near death experience" or "OBE "out of body travel experience. 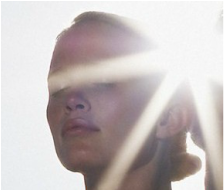 After they experience out of body travel their ordinary human life takes on a whole new meaning as they are awestruck at witnessing themselves leave their physical body during an OBE out of body travel experience and float beyond the Earth and then truly experience a light filled heaven for themselves. When most people die and have an NDE or OBE out of body travel experience they go to what is called the Astral plane, a spectacular heaven that is everything people would expect heaven to be. A soul on the Astral plane heaven may argue and beg to stay when he is asked to reincarnate, but he may be shocked to learn these glorious lower heavens are not heavens of true spiritual freedom. He is not in control of his spiritual destiny. The truth is that when we learn to do out of body travel there are many levels above the Astral plane that most are unaware of, even some of the so called great spiritual writers and psychics. These include the Causal plane, The Mental plane, the Etheric plane, and in doing out of body travel moving past M.E.S.T. (matter, energy, space, and time) the Soul Plane or Atma Lok (which is the area of true Self Realization). And during out of body travel we can discover many planes beyond this including the planes of true God Realization (the Anami Lok and above) that are described on this website. (See the chart below that is a map for out of body experience). Out of Body Travel In The Pure Positive God Worlds Another reason to desire control over your out of body travel is the fact that the planes above the Astral plane are filled with a much greater light, sound, love, wisdom, power and freedom. Comparing out of body travel in the Astral plane with advanced out of body travel in the Soul Plane is like comparing a bird bath with an ocean. It is something that truly must be experienced through out of body travel in order to understand. People who have out of body travels to these higher heavens experience a profound sense of freedom unlike anything they have ever experienced before. I know this was the case with myself, my husband, and various friends who do out of body travel. At first we are just a visitor accompanied by a true Spiritual Traveler but with practice in out of body travel and shifts in consciousness we become a permanent resident, meaning for perhaps the first time we become spiritually free. In this realm the lower faculties such as the mind, emotions, and psychic faculties are dropped and soul (we are not from my experience our physical bodies or personality but a divine essence of light and sound) uses the higher world faculties of seeing, knowing and being. The Pure Positive God Worlds are so vast, brilliant white light and sound filled and incredible beyond description. There is a tremendous misconception circulating among many gurus that reach the Astral or in very rare cases the Mental plane and are so mesmerized by the glories and profound heavenly experiences, entities, or powerful beings there that they immediately believe that they have found the ultimate God Realm, the final heaven. In early out of body travel the lower heavens give one the illusion of reaching very high spiritual states. Often the individual who learns out of body travel under physical or astral gurus only reaches the Astral plane. Most have familiarity with out of body travel have not even reached lower states such as Astral Realization or Cosmic Consciousness which to the human consciousness looks very impressive (with out of body travel) because those in Cosmic Consciousness sometimes have special abilities: like foreseeing the future or reading past, healing people, bringing their students to out of body travel to different levels of heaven, out of body travel to a glorious astral heaven, performing miracles and so on. The focus of cosmic consciousness is universal love, a love that unites with all things in the universe. Even though Cosmic Consciousness is an exulted step toward spiritual advancement it is not Self Realization or God Realization as many claim. By finding a Spiritual Traveler who is God Realized and a true expert in out of body travel we can for the first time have incredibly in depth guidance to learn about all of the levels of heavens and worlds though first hand out of body travel of leaving our physical body for an out of body travel experience in higher heavens and visiting the various heavens ourselves. On this website you will find descriptions from out of body travels of some of the different levels of heaven by 2 Spiritual Travelers, Allen Feldman and Heather Giamboi, myself so that you can learn to navigate these worlds to expand your spiritual awareness. We can learn spiritual exercises to have out of body travel (to have an out of body travel experience in the various realms) to experience these heavenly worlds which though continued out of body travel practice eventually lead to mastery of advanced out of body travel and to exulted spiritual states of consciousness such as Self Realization (having an out of body travel experience in the heart of the Soul Plane and a direct perception of who we truly are as a God being and are spiritual purpose or mission), God Realization (having a direct personal out of body travel experience of God or HURAY in the heart of the Anami Lok and above and experiencing God) and spiritual Mastership (Being a conscious coworker in partnership with HURAY (God). There are many who falsely claim they have Self Realization or God Realization and they have a very limited understanding of out of body travel even though they promise that they can bring us to this high state. But often if we listen to their words not with our mental apparatus but with knowingness and heightened awareness we will notice they focus upon cosmic consciousness that focuses first on universal love, psychic phenomena such as magic or manifestation, cosmic energy, or on daily life in the lower worlds. If they do focus on out of body travel it is usually of a lower nature. I had once heard an Indian Gura talk about how he had God Realization and that he could bring others to this state. And then he proceeded to explain the great importance of focusing on an apple and keeping our attention fixated on this apple. He went on and on and on about an apple. 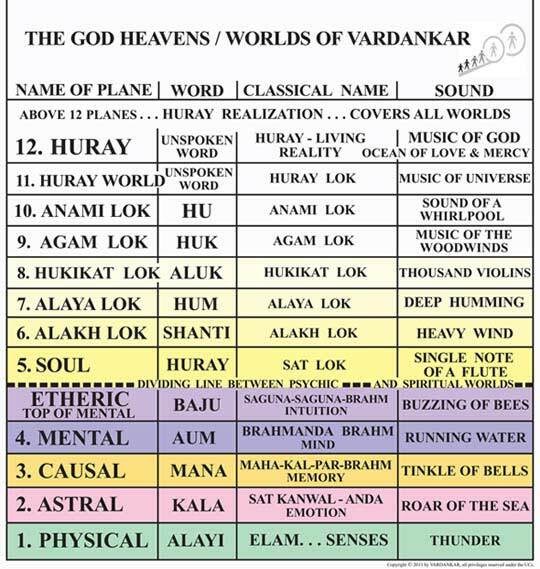 As the great VARDAN Master Rebazar Tarzs has said none of these lower world things have to do with God ITSELF or true God Realization. With out the out of body travel in the Soul Plane and above we are dealing with little more then speculation, opinions and emotions. Very often many of the Astral and Earth bound Gurus who falsely claim to have the state called God Realization are more interested in personality worship then in the spiritual well being of the individual to become truly spiritually free and reach Self and God Realization themselves in this lifetime. Self Realization, God Realization, and VARDAN Mastership are the three main goals the Spiritual Travelers have for their students who practice what is called: VARDANKAR, the ancient science of out of body Travel to return to God ITSELF. On each tab you will find helpful tools for out of body travel such as the different levels of heaven starting with the lower worlds of reincarnation and ascending in out of body experience to the pure positive God Worlds or higher worlds of pure spirit. I hope you find this website enlightening and helpful. Much joy to you! Outofbodytravelguide.com All material on this Website (c) Copyright 2013 -2016. VARDANKAR. H. Giamboi and Allen Feldman. All Rights Reserved.